Power Quality in Electrical Systems equips you with the latest engineering techniques for providing power quality to all customers, and includes vital information on manufacturing, data processing, and healthcare facilities. 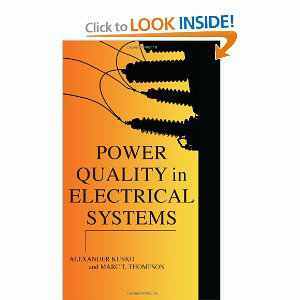 Based on an IEEE Professional Education course, the book is a practice-oriented engineering tutorial for solving key electric-power-quality problems. FREE E-BOOK DOWNLOAD LINK HERE!! !